Let’s picture the word, “Robot”, immediately, we get a glimpse of self operating machines, with nuts-and-bolts as building blocks. These machines are permeating all sections of our society. Machine human relationship has crossed the realms of science fiction. In fact, machine learning has become one of the most interesting and sought-after science, sprouting artificial intelligence (AI). Auto, medical, manufacturing and space are some of the sectors where these machines have already made their presence felt. 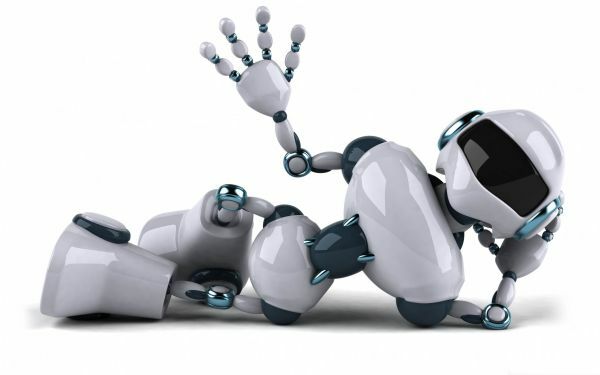 As bots are crossing the threshold of labs, towards the social milieu, safety with respect to its rigid system, is becoming one of the major concerns. 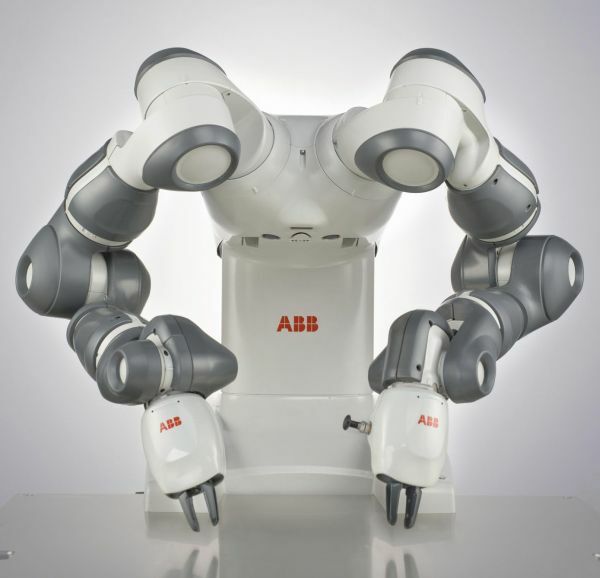 For instance, an industrial robot is providing absolute accuracy in huge manufacturing and production settings. However, there is a risk of bone damage if it happens to swing into a person. Thinking on these lines, the researchers are coming up with ways to develop robots with body surface that is more like animals than rigid machines. This implies, replacing traditional motors with pneumatic artificial muscles (PAMs) or adding springs in parallel with motors. 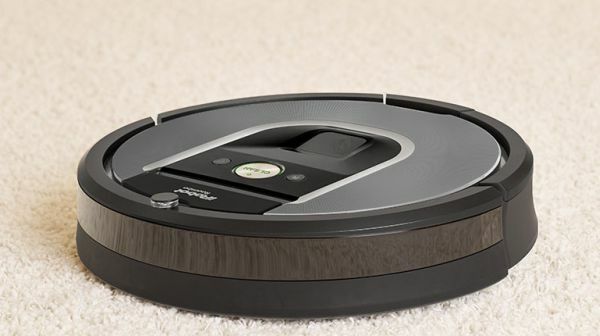 Roomba vacuuming robot is one such machine that comes with bumper around its edges. Although the bumper has a special function, it retracts upon hitting something and moves in other direction. The bumper acts as a cushion; it not only avoids damaging the things around but also within. In an attempt to make things simpler, researchers are trying to couple robotics with tissue engineering. Their aim is to design robots that are resilient enough to absorb the energy in case of any collision with people. And at the same time, minimize the forces acting on the machine’s stiff inner frame. The new approach involves powering robo machines with living muscle tissue or cells. 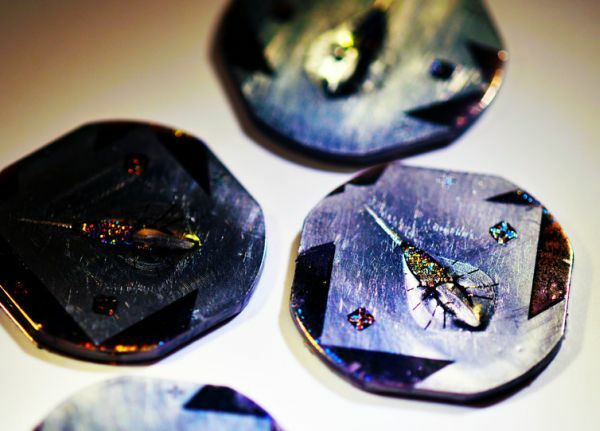 These micro machines could be activated with electricity or with light. These two external phenomenons will trigger the cells to shrink their skeletons thus providing locomotion – which could be either swimming or crawling. 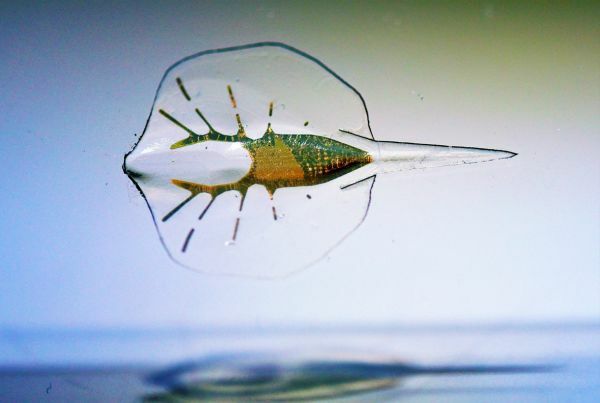 Unlike the conventional machines, these biobots will maneuver around without causing much damage, since the new body will be soft like animals. The source of energy for these biobots would be nutrients than regular batteries. Researchers developed the bio-engineered bots from living cells of heart or skeletal muscle of rats. They nourished the living cells on scaffold – which is a polymer itself – that is not toxic to the cells. They realized that if the cells were kept in a molded skeleton, without applying any kind of external force, the cells will end up in unusual orientations. To take advantage of the situation, the researchers applied electricity and observed that cells’ contraction moved haphazardly across all directions. In order to make the best use of cell’s power, scientists converged to micropatterning. They created nanoscale lines on the mold that was fabricated from material that the cells prefer to attach to. These lines, act as support for cells as they grow. Like climbing plants, these cells align along the printed pattern. Once the alignment is developed by the cells, researchers can control the entire pattern by giving direction to the contraction force to the substrate. Thus, giving an effect of motion in unison than a mess of firing cells. Muscle tissue powered robot is just one stream of many types of biohybrid robots. Researchers have fabricated a few organic robots using natural materials. For instance, Case Western Reserve University’s researchers have created a robo device with collagen fiber than polymers. These bots can crawl and swim under the influence of an electric field. Few years back in 2012, Kevin Kit Parker led team at Harvard University, had created artificial jellyfish, Medusoid, from rat heart cells. The artificial jellyfish swam and pulsated like its real counterpart. 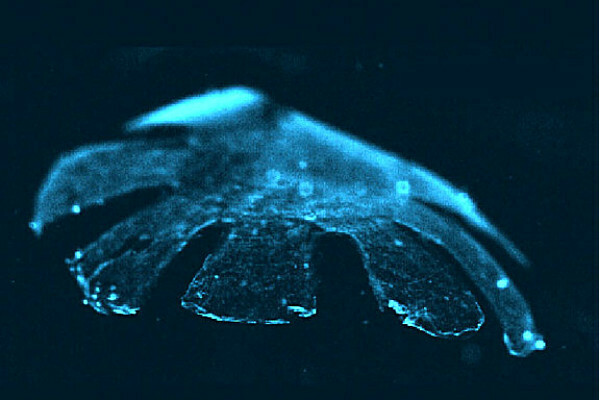 In order to control the cell or tissue architecture, its arms were micropatterned with protein lines so that the limbs mimic a living jellyfish. Due to the organization of the cells resulting from micropatterning technique, the contraction of cell resulted in locomotion of the micro bot in nutrient-rich liquid. 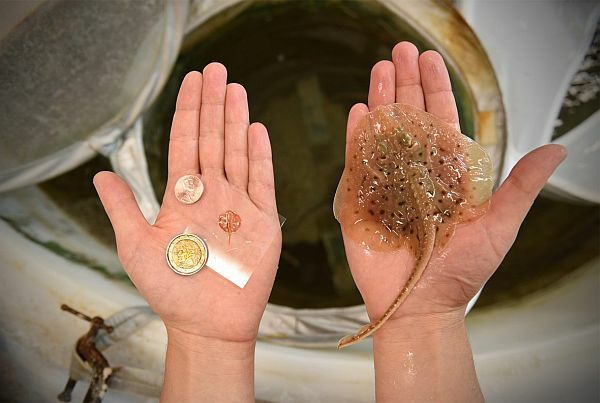 Last month, researchers from the same lab fabricated robotic stingrays made with rat heart, algae and plastic fins. Muscles in the device are controlled with the help of optogenetics, a technique involving light for maneuvering cells. This means, cells contraction occurs in response to specific frequencies of light. For instance, one side of the ray will respond (or contract more specifically) to one frequency of light while other side would react to another frequency. Similarly, the variation in the frequency of light would result in locomotion to either side. Although many biohybrid robots have been made in the past yet much has to be done to make these bots cross the threshold of labs. Limited life spans and low force outputs are two major parameters that has to be resolved before taking the plunge into the outside world. Some robots are extremely sensitive to their environmental settings. Biohybrid robots are able to work with full efficiency under the influence of temperature that is near to the biological body temperature. Secondly, the cells or the building blocks require constant source of nutrient-rich liquid to replenish the rapidly diminishing energy. One solution is to wrap the micro device so that the muscle is kept unharmed from the external environment. And the same has to be dipped regularly in nutrients for nourishment. The other approach is to use durable cells, relatively, as actuators, as researchers at Case Western Reserve University did. 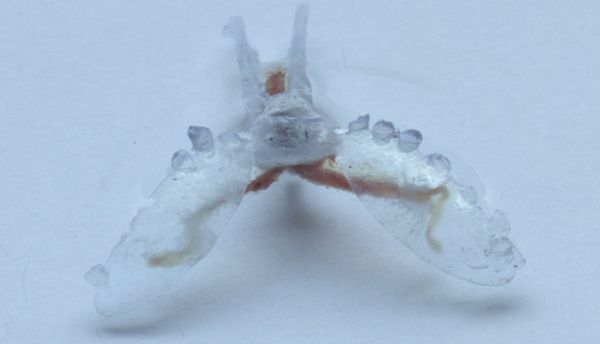 They built a crawling robot from sea slug parts and a 3-D printed body. The animal’s durability down to its cells made it the most competitive candidate to interact with the extreme environment conditions. Sea slug Aplysia californica can withstand not only the extreme climatic shifts but also ocean salinity over the course of a day. 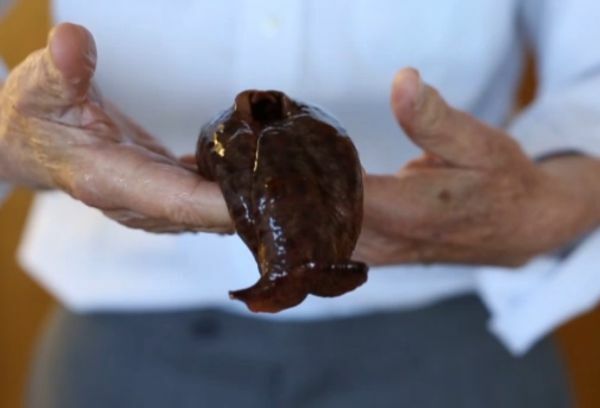 The slug’s muscles are adaptable with respect to the contemporary mammal and bird muscles. The sea slugs create a kind of tide pool around itself, thus protecting themselves in absence of tides, increase in temperature and salinity. And when the tide arrives, the sea slugs comes out from the tidal pools. Thus, these resilient tissues, which are the result of changeable habitat, can become effective building blocks for manufacturing tougher biobots. Third biggest challenge in fabricating the biobots is the absence of on-board control system. So far, all the maneuvering has been done with the help of external electrical fields or light. Like the device itself, controllers too need to be organic in nature. Researchers feel ganglia – clusters of nerve cells- can take the role of the organic controllers. This makes Sea slug Aplysia californica another reason for helping scientists in developing an efficient and autonomous biohybrid robot. Neuroscientists love Aplysia californica, after all it’s been more than decades that the neural networks of sea slug has been studied. This opens up new possibility of using its biochemical pathways as organic controllers. Medical applications: the biobots could provide target drug delivery, cleaning up clots, checking the internal organs. Who knows, one day we could even re-invent the human heart actuated by muscle. Protecting environment: these micro devices would check the toxins in ocean and check leakages in pipes. In worst-case scenario, even if the device is consumed by wildlife, it won’t lead to serious issues like the nuts-and-bolts micro device would. Tissue engineering: after the microbots, attempts could be made towards developing vascular systems. That surely would give rise to large-scale robots actuated by muscle.